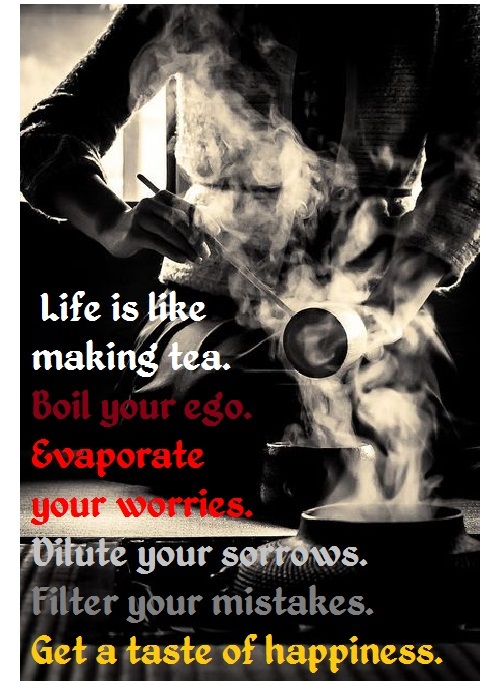 Life is like making tea. Boil your ego. Evaporate your worries. Dilute your sorrows. Filter your mistakes. Get a taste of happiness.